Welcome to the night shift, where every day is a fight between the heroic efforts of saving lives and the hard truths of running a hospital. At San Antonio Memorial, the men and women who work the wee hours are a special breed, particularly adrenaline junkie T.C. 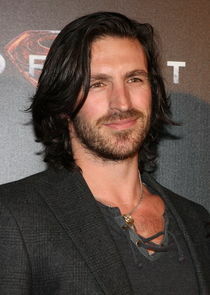 Callahan (Eoin Macken, "Merlin"). After a grueling tour of duty in the Middle East, T.C. is about to learn that his toughest battles will be fought right at home. He and his irreverent team of late-night docs, including Topher (Ken Leung, "Lost") and Drew (Brendan Fehr, "Roswell"), know how to let off steam with the casual prank or two, but when lives are at stake they are all business. Unfortunately, the night shift is now under new management and boss Michael Ragosa (Freddy Rodriguez, "Six Feet Under") is more interested in cutting costs than helping people. But T.C. has never met a rule he couldn't break, or a person he won't stand up to. And it's clear that not even Dr. Jordan Santos (Jill Flint, "The Good Wife"), T.C. 's ex-girlfriend and now Ragosa's second in charge, has a chance at keeping him in line. If Ragosa wants a war, he'll get one.